Reading is a vital life skill and something that is highly important for your child to be confident with. Please encourage your child to read their reading book daily. As well as reading their reading book, please visit the local library so that children can experience a wider range of stories and non-fiction texts. Comics and magazines also give children valuable reading practice. 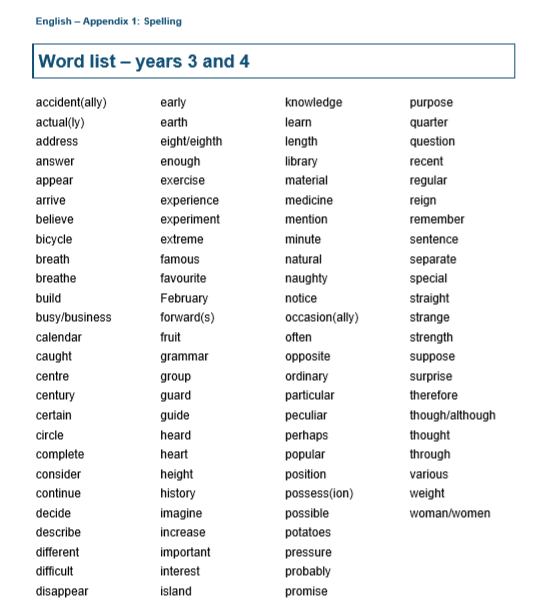 Children have some words that they need to learn to read and spell in years 3 and 4. Below is a link to these words so that you can help your child at home.